Registrations now OPEN for this year’s Christmas/New Year trip to WA’s Great Southern! Please contact Anthony (anthonyb@climberswa.asn.au) to register your interest. The dates this year will be Wednesday, 26 December 2018 to Wednesday, 2 January 2019. Accommodation sites are available at Kalgan River Caravan Park – this year’s chosen base. Being in Kalgan puts you nice and central to all the available climbing areas. Bookings are available on a first-come first-serve basis, and you are also welcome to register & organise your own accommodations. 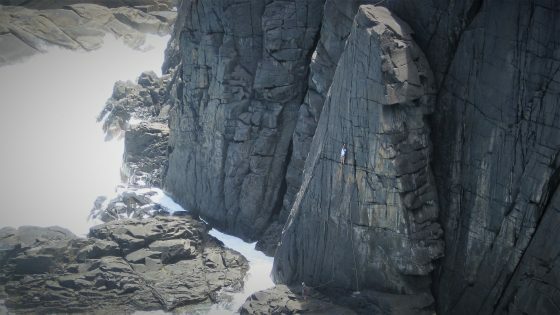 Day climbing possibilities are endless: Porongurups, Peak Head, Blowholes, The Gap, West Cape Howe, and the Stirlings if you really need a multi-pitch adventure. This is a social trip, and as such beginners should join groups where an appropriately experienced person is present. This is particular region is spread out over different areas, and the nature of some of the climbing and skills required to access certain areas can be quite challenging. If you are interested in attending, but not sure of what you need, feel free to email Anthony. I will coordinate groups where possible and if ride-sharing is available. If members want to be sure of getting a spot, then they need to let me know by Wednesday, 12 December 2018. Prices per night will be no more than $14.50 per person, with upto 4 people per site. Please note that CAWA trips are open to current members. Not a member but keen to come along? 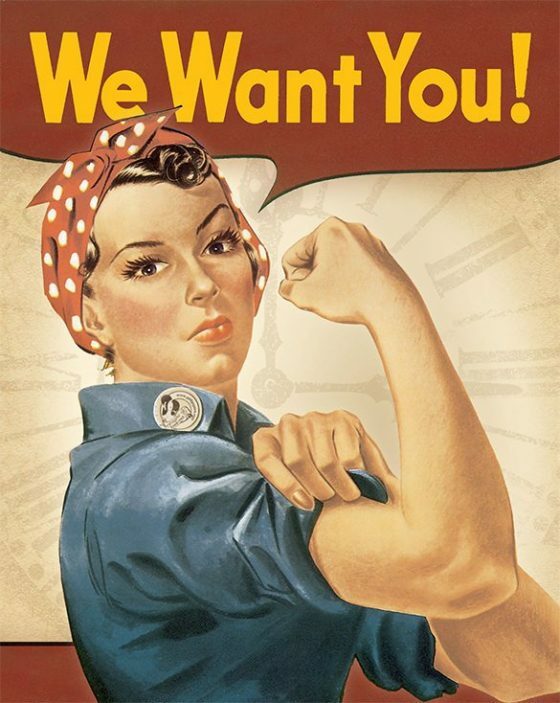 Join online via this link: Become a CAWA member. Due to legal and liability issues, CAWA does not provide training on trips. 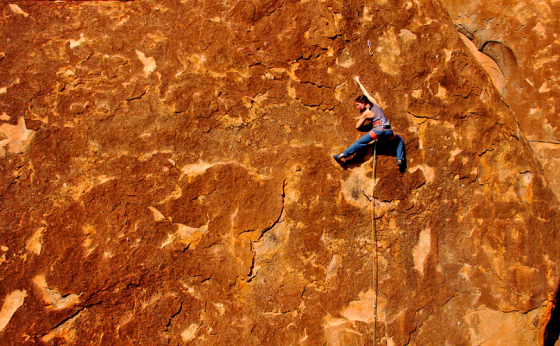 All climbers must be independent participants who are completely responsible for themselves. If you are an inexperienced climber, then have a chat to some of the more experienced members you know and see if they are planning to attend. Spring is in full swing and the rock is, now and then, dry so let’s meet up and climb outdoors. This time we should try rarely visited Boya Quarry East Side. There is enough to keep us busy for a few hours with grades from 16 to 23 on sport and some easier trad lines as well. I’ll be in from 5 to 9pm and happy to set up top ropes if needed. Little refreshment provided for those who RSVP before midday on Wednesday. Head torch, helmet definitely required (I have a few spare if u need) and long pants and sleeves highly recommended. Just letting you know that the latest edition of Western Climber is now available to download. Or go to the Publications Page of the CAWA website. Just a reminder the Western Climber is YOUR voice! So please send us anything of interest including news, thoughts, photos, report and concerns at cawa@climberswa.asn.au. 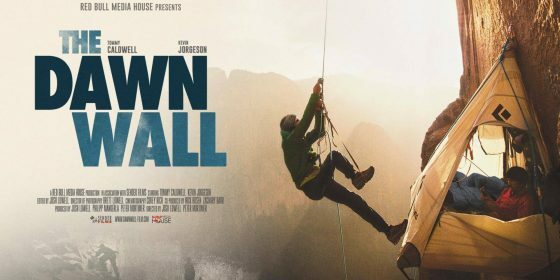 Just an update for those planning on attending next week – be sure to check-in with me, Anthony, to get your name in the chalkbag, as CAWA will be giving away 2x tickets to the showing of The Dawn Wall ! This CAWA Gym Crash – held at The Hangout 12 White St Bayswater WA 6053. Starts around 6:00 on 06/09/18- Thursday Night. All the regular facilities will be available, so this is a good opportunity to pick up another training session for the week, or just hangout for a with a great bunch of people. We are just in the process of putting together the autumn issue of Western Climber. CAWA relies on contributions from members to complete each issue. We will not be able to complete the current issue without some additional contributions from members. 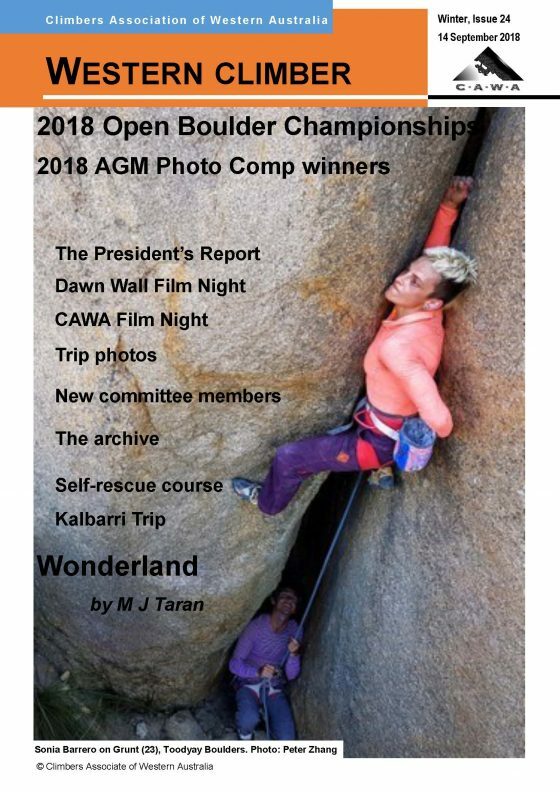 So CAWA is offering a number of prizes for contributions to the current issue of Western Climber. Contributions may take the form of photos, articles or simply e-mails to CAWA or the editor. If you have been thinking of making a contribution to Western Climber then now is the time, so that you may be illegible to receive one of the number of prizes that are available. Contributions do not have to be a extensive or detailed and very short contributions are encouraged. Things like new route descriptions or info, climbing points of view or topics of interest, questions or comments to CAWA or the editor. If you are interested please submit your contributions on or before 12 May 2018. Contributions to Western Climber can be submitted by e-mail to Woody (garethw@climberswa.asn.au) or me (dirkk@climberswa.asn.au). Climbers! Time to show us your chalkbag – not the everyday run-of-the-mill chalky – we want to see the most creative, unique chalkbags out there!!! This is a POPUP CAWA Gym Crash – held at The Hangout 12 White St Bayswater WA 6053. Starts around 6:00 on 02/11/17 – Thursday Night. Special CAWA member entry cost is $10. Special Note: Delicious Treats supplied!!! And of course giveaways for the best chalkbag designs! 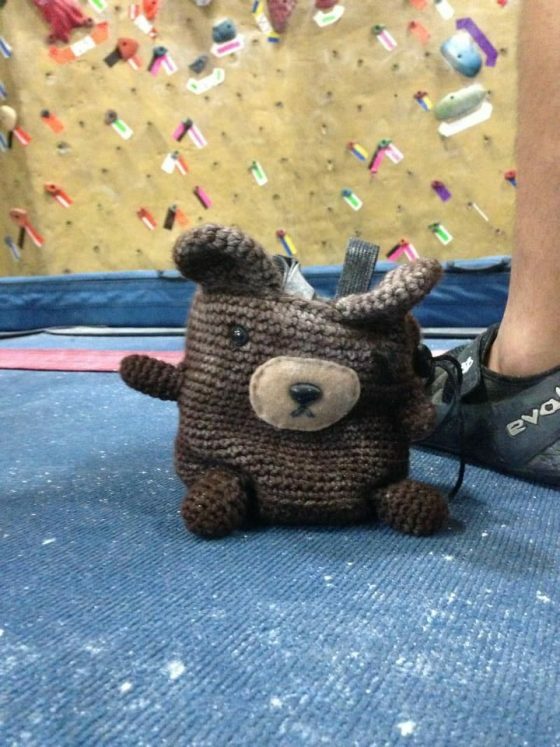 Prizes for: Best Chalkbag (Overall), Best Fluffy Bag, Most Novel, and Most Abused!! All judged by Climbers on the night. BYO: Climbing shoes, chalk, harness, and rope if you want to lead climb – don’t forget the chalkbag! Wellington Dam Trip is open for registration!!! CAWA has a club trip to Wellington Dam from Friday, 20th to Sunday, 22nd of October 2017. Wellington Dam is around 200km south of Perth, just out of Collie in the picturesque Wellington National Park. Wellington Dam is a beautiful family friendly spot for a BBQ with some great climbing on solid rock. The climbing is in an old granite quarry, with gas BBQs, picnic tables, shelters and a car park at the base of the cliff, and toilets nearby. There are around 40+ climbs in the quarry, nearly all are bolted. The cliff is up to 20m high – 8 draws and a 50m rope will get you up most things and top ropes can be set up in places. The climbs are mostly steep/vertical and the climbing style is different to the quarries in Perth. Check out the mini guide for more information. There is also camping nearby and lots to do on Sunday for anyone who wants to make a weekend of it. There is lots of walking in the park and mountain biking at Pile road/Mt Lennard, or go climbing at Pinjarra (see the Perth climbing guide). To get there turn right off the Collie Highway onto Wellington Dam Road (approx 17km before Collie). Follow Wellington Dam Road for 12km and after passing the café descend a steep incline before turning right into the Quarry car park. People can turn up any time, BYO stuff for BBQ. It will be a great day of climbing and socialising, look forward to seeing you there. Participants under the age of 18 must have a parent, guardian or other responsible person to accompany them. Trips are a member benefit and you can easily join online. If you interested in coming to Wellington Dam please complete the online registration form. Please note that CAWA trips are a benefit for members. Non-members who are interested in coming with you can join online now (easiest) or on the first day of the trip. All participants need to be ‘independent participants’. This means you are responsible for your own safety. Due to legal and liability issues, CAWA does not provide training. If you are an inexperienced climber then have a chat to some of the more experienced people you know and see if they are planning to attend. However, Mt Frankland is a good beginner’s crag. If you are a beginner, it might pay to read CAWA Trips for some further information. Feel free to contact us if you want to register. We are running the trip again this weekend!! As you know the trip for Queens Birthday Long Weekend was cancelled due to the poor weather. So we are running the trip again. The weather is looking pretty positive so far for the weekend. Good news CAWA is subsidising the camping fee on this trip. 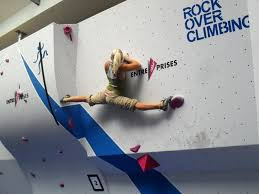 Please be aware that the weather is the deciding factor on this trip and if it is still raining (down south) shortly before the trip then the rock will be unclimbable and the trip will be cancelled. The final decision will be made on Wednesday, 11th October. Until then think positive and make your daily sacrifice to the rain gods. Mt Frankland is located in the Mt Frankland National Park and is about 30km north of Walpole. It’s quite a drive from Perth, probably 5 hours give or take,. Your CAWA trip coordinators for this trip is Dirk Klicker. The climbing is mainly bolted slab, with many routes up to 3 pitches long. 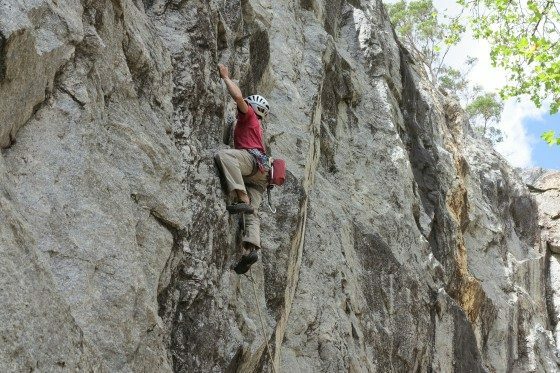 So it is good if you are looking to gain some multi-pitch experience. The routes tend to be run-out, so people need to be fairly confident leading at the stated grade. Generally on CAWA trips there will be enough people around to lead the routes so that everyone can have a go. Most of the routes are bolted, but some require a mix of bolted and natural protection. Bolt plates will be required. There is a variety of grades starting from about 15 and up. So there is something for everyone. The West Australian Rock or the South Coast Rock Guidebooks are a good reference. There is some information on the CAWA website at the link Mt Frankland New Climbs or at On-line Guides/Mt Frankland. The camping area is called Fernhook Falls and it is a well set up campground (this means tents) with drop toilets, a nice undercover kitchen area and a lovely river nearby for smelly climbers to brave at the end of the day (there are no shower facilities). It does get cold overnight, so pack warm. On past trips the march flies have been out in force, so some good, strong insect repellent is also recommended in case we are unlucky again this year. There is no pre-booking, so it’s a first come first served situation. We do not expect it to be full. If you need directions please send Dirk an e-mail. You do need to bring your own food and drinking water for this trip but you can leave the shovel behind (there is a tap in the kitchen that feeds from a rainwater tank for cooking/washing dishes). Walpole is not that far away (about 35km) if you do need supplies and there is other more salubrious accommodation around. There are minimal camping fees. The rangers come around and check. Remember to bring your own firewood. If you interested in coming to Mt Frankland please complete the online registration form. The next CAWA Gym Crash will be held at PWR Urban Ascent, 25 Jackson St Bassendean WA 6054. Starts around 6:00 pm on 14th September– Thursday Night .Special CAWA member entry cost is $9. Once again, CAWA will supply pizza to all current members, as well as give away some great prizes! The CAWA guide book ($20) and T-shirts ($25) will be available for purchase on the night. Members can also get a combo of the guide and T-shirt for the discounted rate of $30. It would be appreciated if you had the exact amount. It’s time to grab your winter woollies and pack up your car for a trip to the Wheatbelt to Eaglestone Rock. 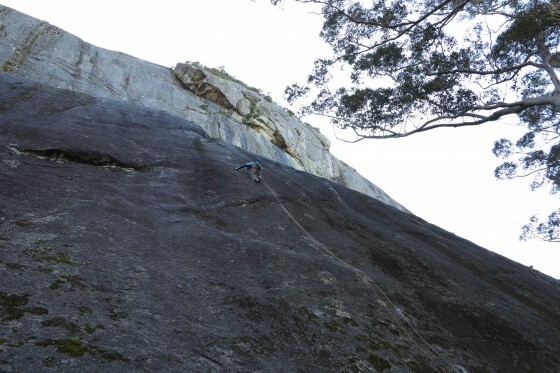 A 3.5 hour drive from Perth will take you to bulletproof granite with good face climbing and edge. With over 30 bolted, trad and mixed routes there is something for everyone. Abseil stations are positioned on top of the major boulders. There are a number of fantastic routes including **Wishbone (17), **Capachow (19), * Pink Rings (18) ** and Ithica (22). 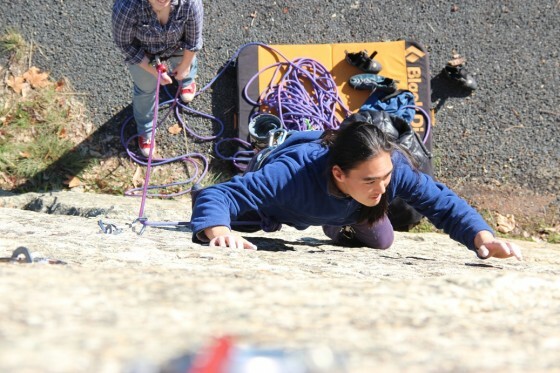 So be sure to check out your Perth Rock Climbing Guide for route and access information. You don’t need a 4WD but there is a short section of dirt road, followed by a section of good sand track easily accessible by 2WD. Most people will be travelling there Friday evening or Saturday morning. To register for the trip, please email me kateb@climberswa.asn.au and I will send through a registration form. Also happy to answer any queries you have via email.